Is anyone else a fan of the movie Steel Magnolias? Shelby, played by Julia Roberts, has a famous line in the beginning of the film where they're at Truvy's hair salon prepping for her wedding where Truvy (a.k.a. the amazing Dolly Parton) asks what her color is. She replies with "blush and bashful" to which her mother goes on about how her whole wedding is just various shades of pink. Shelby continues, "pink is my signature color." And to that I have to agree. I, too, find pink to be my signature color. In this celebration of spring and the color pink, I've now added a brand new signature color to my bestselling gift bags! Pink! Each bag is handlettered by me using white paint, sure to never rub off, and customized with anything you'd like, makes this gift bag the perfect option for stepping up your gift game or just making someone feel special. Choose now between pink, white, kraft, and black! So, if you have any Shelby's in your life, be sure to consider these new pink gift bags for your next occasion or event! Need help deciding? Feel free to connect with me over in the shop to learn more about options and lettering! All month long in April, enjoy free domestic shipping on all orders of $20 or more! "April hath put a spirit of youth in everything"
Although fall is by far my favorite season, spring takes a close second. 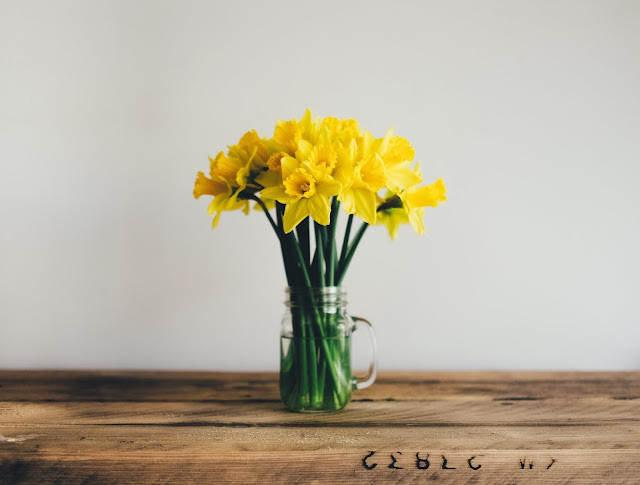 After the busyness of the holidays comes a relaxing calm that takes the form of brighter and lighter weather, a few spring showers (unless you live practically anywhere and are experiencing the craziest weather for your area), and a general sense of renewal. I've definitely noticed the switch, even here in San Diego. I love that our weather is a touch warmer, baseball season has begun at Petco Park, and patios are full of conversation and community. What better a time to re-open the shop?! And that's exactly what I've done. Making the decision to make my lettering shop seasonal was one of the best choices I could make as a small business owner and mom...and wife. It's allowed me to take the necessary break after such busy and long gifting seasons and appreciate the time I have with my family and loved ones. Often it's easy to become overwhelmed or overextended because of the vision I have for my shop, but making it seasonal allows me to slow down, restore the areas of my life that need attention, and come back ready and excited to letter. Happy Thanksgiving + ETSY Cyber Sale! Goodness! Is it really the week of Thanksgiving already?! I swear year after year, time just seems to slip right on by. But, I suppose everyone says that every time a major holiday comes up, right? Our menu was the most exciting to put together - the husband is preparing a pheasant instead of a turkey and our sides are fancier interpretations of traditional Thanksgiving goodies like quail deviled eggs with prosciutto and a bruléed maple-bourbon pumpkin pie. They're all new recipes (mostly from Bon Appetit) and since we both love cooking, Thanksgiving is a favorite around here. So, no matter what celebration you find yourself having this holiday, I wish you all a happy Thanksgiving! Thanksgiving is also a time for us to get in on all the good sales in preparation for the holidays! This means you'll have multiple opportunities to support small businesses and one way you can do that is shopping with me! That's right! 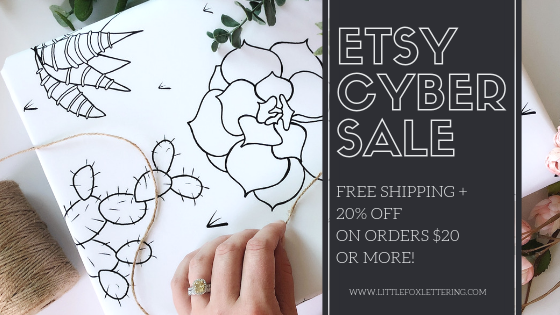 Etsy is hosting a Cyber Sale this week and in my shop you can receive FREE SHIPPING and 20% off when you spend $20 or more! Sale runs from Nov 19 - 25th! Gift Kits are the easiest ways to add a little personal touch to each of your gifts this season! Each kit includes everything you'll need to wow your loved ones with: foliage sprigs, gift tags, and your choice of brown or red twine! Inspired by this tired mom who hopes it'll help you up your gifting game without any added effort! Be sure to check out the HOLIDAY SEASON tab here on the blog to get a glimpse at what gifts are ready for customization over in the shop! "Difficult people are the greatest teachers." When I first started my shop I was so excited with the possibility of connecting with others and building lasting friendships through the sharing and creating aspect of what I do. 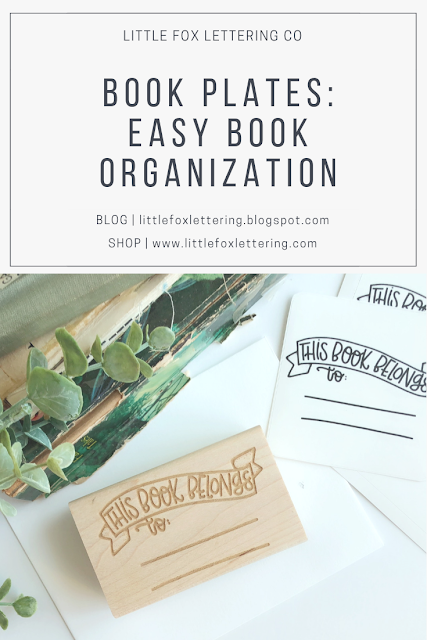 Within the last two years of creating keepsakes and crafting lettering goodies for my customers, I've learned that running your own Etsy shop isn't always fun. There are aspects to this that I didn't really take into consideration and that is: the difficult customer. Thankfully I've only had a couple, but even though working with a tricky customer has it's fair share of challenges as an Etsy seller, it's also taught me a great deal about people and how to grow as a small business owner. So, I thought to share a bit of advice when it comes to working with customers who don't know what they want, think you have magical post office wizards that can apparate packages, or simply just ghost you. This particular customer tends to not read anything you've already placed in your listing description. That's right, although you think that your well-thought out description is being read by every single customer before they contact you just isn't true. It can definitely be frustrating since simple questions like, "how much for __ of these? ", are sometimes too time consuming to answer considering you put that information in your listing and we're in the middle of a seasonal rush! However, it IS important that you think about how you'd like to respond to this potential customer. I found that a lot of my shoppers are actually shopping from their Etsy mobile app or otherwise not on the computer (another great reason to check in on your stats and SEO!). This also indicates that they're on the move when they're browsing and, let's be honest, no one has time to read through the descriptions of every item they look at when commuting. The simple way to handle this type of customer is pretty easy: you either respond with the information they're requesting OR if you find yourself receiving the same question over an over, just have a draft of your pre-written responses handy. Jenni from Fuzzy & Birch (aka the goddess of Etsy) recommends using Etsy's snippets tool - you can find that handy information here. A conversation was started requesting a custom order and you've spent days going back and forth working out the details, you've created the listing...only for it to sit, and sit, and sit. You've tried responding every few days just to keep in contact but alas your efforts and time are now gone and your customer is nowhere in sight. I have found it to be so frustrating whenever I come across a ghoster only because I don't know if customers truly realize that Etsy seller's time is very valuable. For my shop, depending on the order, I work hard to meet my customer's expectations and bring to life a vision or idea they have. It's one of my favorite aspects of my business, but when customers just don't respond - grr it just irks me! Unfortunately there's no much else you can do. If they don't get back to you, they don't. I always try to follow up about once every couple of days initially, then send a last convo that just explains how disappointing it was to not move forward and for them to be courteous to Etsy makers in the future. It's all one can really do in a situation like this and unfortunately it happens more often than you think. Okay, so receiving feedback and reviews are one of my favorite things to check as an Etsy seller. I always follow up after I see my customer's packages have been delivered with a quick note. I've found by staying in touch with them, they're more likely to keep me and my shop in mind for future lettering needs during the holidays and this equals repeat customers and bonding friendships over time. However, there are always a few meanies sprinkled in where they weren't 100% satisfied with their order, shipping times, or practically anything else under the sun. With this kind of customer a little TLC and understanding goes a loooooooooong way. First, deep breaths and step away for a moment if you need to. 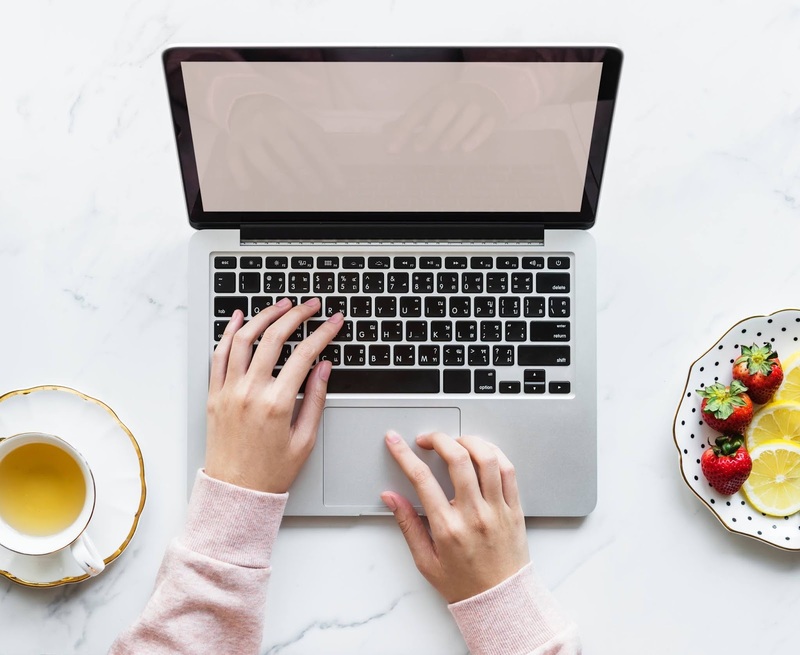 Oftentimes when a customer is negatively connecting with you, or has already left a negative review, it's important to follow up with them but in a way that is pleasing for both sides. Always consider the stress your customer is under when placing an order with you. For my shop, I deal with a lot of brides or members of a bridal party who are ordering bags or other gifts that are intended for a major event. That is a super stressful time and I always make this consideration first. Then, it's all about expressing to them your understanding and willingness to work with them to make things right - the best that you can. Offering to re-ship an item or extending a little discount for their troubles are little ways you can show appreciation towards your customer. And finally, customer service will take you far, especially when having to manage someone who's upset. After you've connected with them and worked through what you could, there's no harm in letting them know how happy you were that you both could come to some resolution. And more often than not, customers are happy to revise their review. 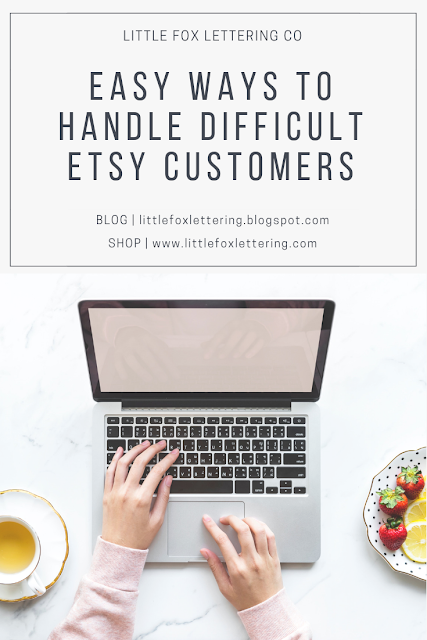 You don't have to be an Etsy seller for long to realize that your small business is in the business of people and the more you learn about people the better you'll get (over time) at handling things like difficult customers. I personally hate, hate, hate disappointing people - especially if they're paying good money for a handmade item. However, there are times where there's a potential mishap and it's in my response that has really turned a potential issue into another satisfied customer. Don't be afraid of the mistakes, see them as ways to adjust your shop and add it to your tool belt of learning experiences. I want to know! How have you managed or dealt with a difficult customer lately? Any tips I didn't include? I'd love to know! But not just any rubber stamp...I've connected with an Oregon based artist and studio that hand makes all of their stamps and crafts them right here in the USA. So, not only was I excited for this new idea to come to life, but I was happy to be supportive of other small businesses - especially female owned! One staple I've always had as a teacher has been a way to organize my classroom library and after many books going missing or mixed up, I knew I needed a new way to keep my books in order. 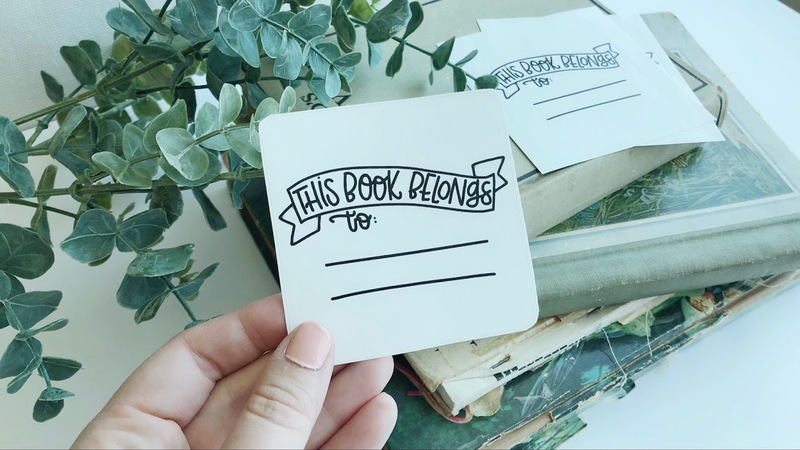 Book plates are great options for personal book organization because I am able to quickly stamp or sticker each of my books to ensure their safe keeping. Whether you are a fellow teacher, a mom who wants to keep her children's books organized, or find yourself as anyone in between, these book plates are a cute way to add a rustic touch to your home libraries. And don't forget they make wonderful gifts, too! Each stamp features an engraved wooden handle and measures 3" x 1.5". ...and if rubber stamps aren't your thing, don't worry - I still got you covered. Choose between this design in either stamp or sticker form! Each sticker measures a square 3" x 3" and is a matte finish, which makes writing on them a breeze! I am so excited for these new rubber stamp book plates and I can't wait to extend my stamps in the shop! What kind of stamps would you love to see in the future? I'd love to know! The holidays can be such a busy time of year for many small online business owners like myself. Last year was my first year as a shop and I couldn't have anticipated the amount of orders I received. It was wonderful news on one hand, but it tended to feel overwhelming on the other. Not to mention, last year my home was affected by the Thomas wildfire which caused my family and I to evacuate. Having to leave also meant having to refund a lot of orders since I didn't have access to my products. However, in the end our home was fine and I learned a lot about preparing for the unknown and gave me the time to focus and regroup for when I was to reopen the shop! Today I wanted to share a few things I've learned along the way as I head into my second holiday season. Hopefully these tips and tricks will help you gear up and prepare you for the rush of the holidays! This is kind of obvious. Because customers want their orders shipped relatively quickly, and will even pay more to expedite their shipping, it's best to have all of your listings in stock and ready to go. Doing some of the prep ahead of time will save you as orders come in. Anticipate the needs you will have during such a busy time and make sure you ship out the highest quality product - even down to your shipping materials. Every season brings new colors and feels for your customers shopping your items, so it's best to change up your listing photos to represent this change. For the fall, opt for natural tones in your staging or flatlays and for winter or Christmas, stage your photos using tinsel or reds and greens. Doing this small but easy step gives your shop a more festive feel. Then after the holidays, feel free to switch them back to your original photos! This goes along with changing your photos for the season - be sure to research popular tags for any given time of year and be sure to add them to your listings. This has been a huge success for my shop and aligns with my vision as an owner. I wanted to create gift items that take the busy work out of the equation for my customers. As a mom myself, I love the option to have all of the gift components in my order which saves me from those last minute Target trips to pick up paper or gift tags. Especially for the holidays where gifts are being given, add these fun add-on options for your buyers! 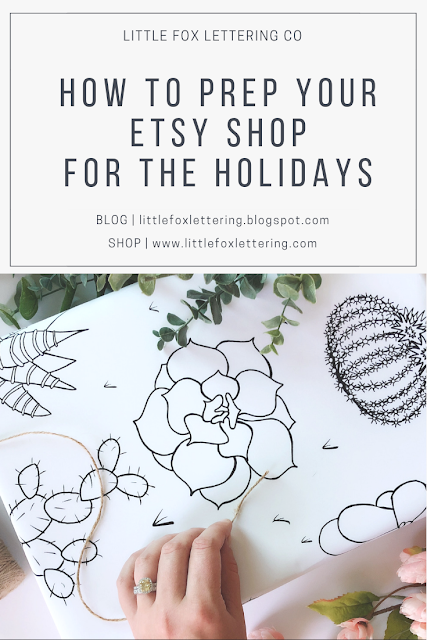 One of the easiest ways you can be sure to prep your shop for the holidays is to follow Etsy's holiday guide, which is located right on your dashboard! I love their articles as well as their data-driven tips and tricks for ensuring a successful holiday shopping season. I am always learning something new and finding new ways to engage my customers. I always like to check in with my recent customers once I see their order has been delivered. As a new owner I want to make sure that my customers have a pleasant experience from beginning to end and one way I can do that is to send a conversation to each one. In my message I thank them for their business, remind them how useful their reviews are for me, encourage them to tag the shop on social media, and invite them back with information about ongoing sales or upcoming savings. I've had a number of repeat customers simply because I reached out and connected with them beyond just the one order they placed. And that's it! Everything else just relies on what you already know and every season is all about finding out what works for you and your shop. Play around with your pricing, sales, and photos to see what leads to more visits and eventually sales. I wish you all good luck and I'd love to connect with you here or on social media to discuss holiday planning more! It's now acceptable to begin thinking down the road to the holidays...at least it is in my book. I'm a super-duper planner and I always want to hunt down the best gifts and deals I can before things get really crazy after Thanksgiving. So, in my own attempts at browsing for gifts this year I realized there is one area that hasn't really been shared amongst moms (or otherwise super-busy people) and that is the convenience of GIFT KITS! One of my major inspirations behind my shop is to provide cute and functional products that helps put the fun back into gift giving! I personally hate running around trying to put every component of my gift together and due to this...I end up just quickly wrapping something in paper that's leftover from last year. Who cares that it's birthday paper for Christmas? Right? Also, there's the whole kid thing. Each errand I run with my 2 year old I realize there's a big doomsday clock that is counting down to when he's over it and I have to make a mad dash to the checkout counter. But no more is that the case for me or any other mom out there! 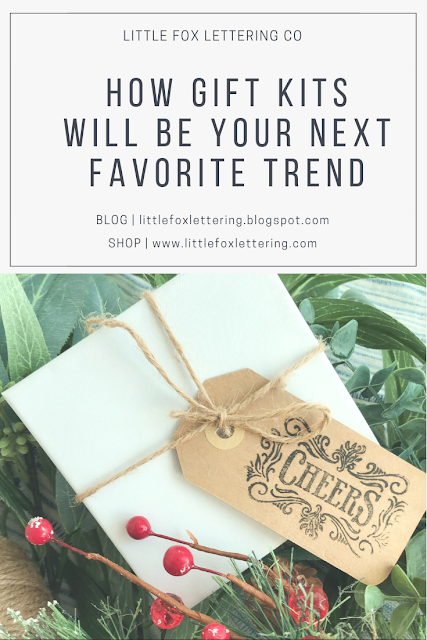 No one ever wants basic and boring gift wrap and why opt for those cheaply made designs that everyone you know will be using too. Stand out this gift giving season and go with wrapping paper that is hand-designed and illustrated by me, then professionally printed onto matte gift wrap! Each roll of paper features various cacti and succulents, which have always been a favorite since moving to California back in 2014! I had never seen these plants before and they've quickly become one of my favorites to have in my home. I wanted to carry this over through to the holidays as well and that's what inspired this minimalistic design! I can't wait to use this paper myself to gift my loved ones! Gift Kits are one of the easiest ways you can be sure to be the talk amongst your friends this season and be the ultimate epitome #momgoals this holiday. I'm happy to help another mom out! This year I'm introducing Gift Kits as a part of my succulent wrapping paper! In each kit you'll receive everything you need to wrap and decorate each present you plan on gifting. + sprigs of faux foliage as the finishing touch! I hope you enjoy browsing some of the new items I have just in time for Christmas this year in the shop, as well as shopping old favorites. Hi! 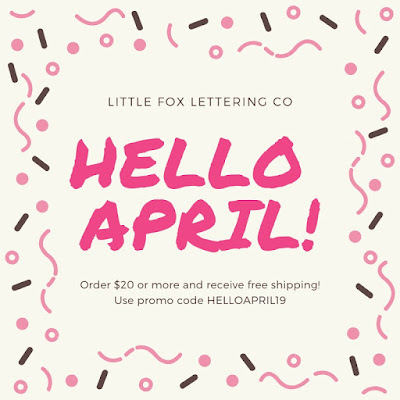 My name is Kelly and I am the creative behind Little Fox Lettering Co! Welcome to my site - I can't wait to meet you!